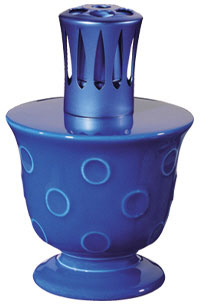 This Berger lamp comes in deep royal blue enamel with raised circles. Comes in a nice gift box with funnel, fragrance, burner and instructions. This lamp is now retired.